We will leave you with a germ free, bright and clean facility every time. We specialize in construction cleaning. Let United Commercial Cleaning Crew clean and sanitize your restrooms. Our products are all Green Cleaning. Good for the environment and no harsh chemicals. Clean Restrooms are important to your employees as well as your visitors. Let United Commercial Cleaning Crew LLC clean and sanitize your restrooms. We will leave you with a germ free, bright and clean facility every time. Your workers and visitors will use your facility with confidence knowing that you have a clean and safe facility. Everyone knows the importance of a clean office environment.. Productive, happy workers are crucial to the bottom line. We can taylor a cleaning package to meet and exceed your company needs. Carpets cleaned, trash emptied, windows cleaned. 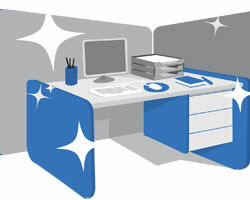 Keep your workers focused on the job at hand, not the distractions of cleaning their personal work space. Vinyl... Linoleum... Tile... We can put a shine on your floors that will impress everyone. 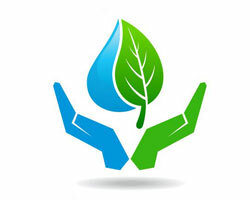 We use pleasant smelling along with “Green” cleaning products. We can get out those ugly black scuff marks from shoes, rubber wheels and the high traffic of deliveries and visitors. Let us make your floors look new again. Hardwood, Vinyl, Tile, Linoleum...We can clean, buff and establish a high gloss shine that will be the talk of the water cooler. Everyone loves a sparkling high gloss floor. We can provide this for you. This is what we do. United Commercial Cleaning Crew LLC, we look forward to making your business shine!